Image of the Conical four-arm sinuous antenna. 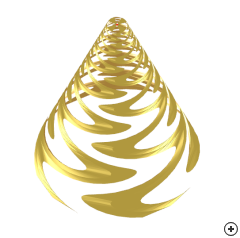 The Conical sinuous provides unidirectional radiation (as shown below) without the need for a bandwidth limiting cavity backing. 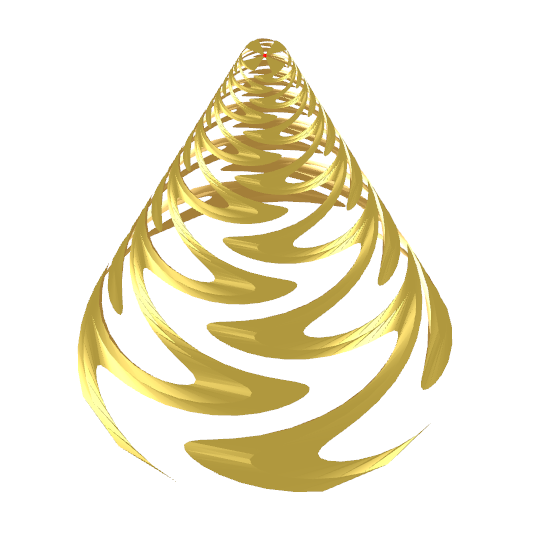 The structure is generated by projecting the ouline of a planar sinuous onto a cone. Typical RHC gain radiation pattern - fmin, f0 and fmax.